DEEP WATER â just 6 miles to the Gulf via the Barge Canal!!! 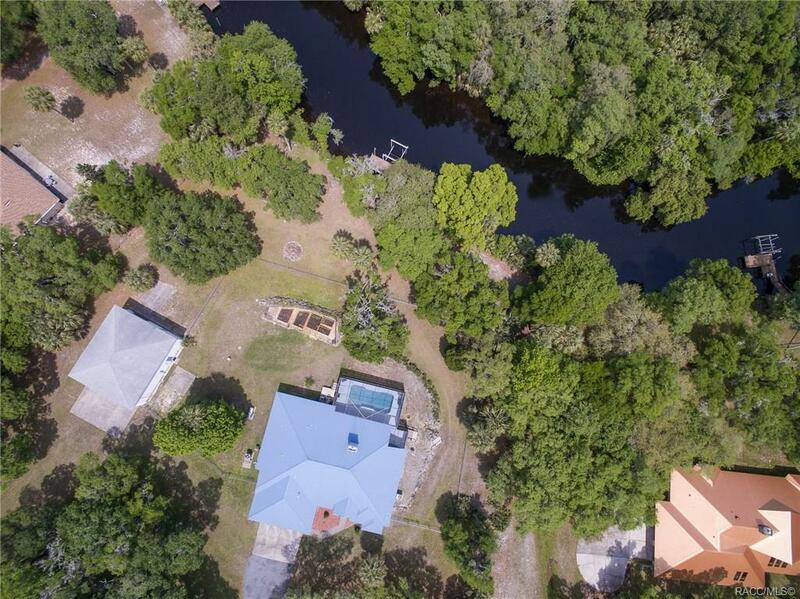 Situated on 2.6 ac high above the river across the FL Greenway this magnificent 4/3 residence offers lots of privacy. Custom built in 2000 by Sweetwater Homes it features: open floor plan, cathedral ceiling & gourmet kitchen w/ top-of-the-line appliances, the towering stone fireplace anchors the great room w/ French doors opening to the spacious lanai & pool area. Metal roof, hurricane shutters & oversized 2-car garage. 1,800sqft det. garage has 16ft doors, ample room for housing RV and/or boat, plus workshop & storage. Dock & 10,000lbs boat lift complete the enticing package. Homes-only community.